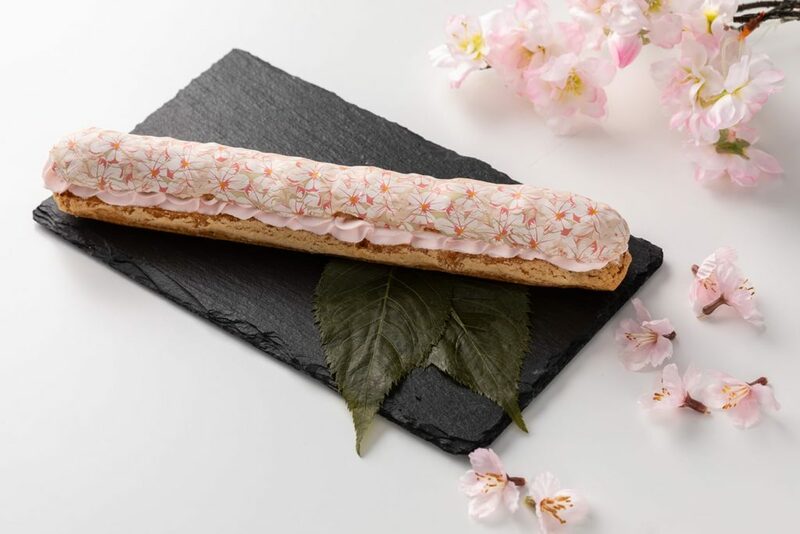 A new face at Grand Hyatt Tokyo's pastry boutique, this picture-perfect spring eclair is 27cm-long and is filled with mild sakura-flavored cream covered with sakura white chocolate. Available at the Grand Haytt's Fiorentina Pastry Boutique for eat-in and take out until mid-April. 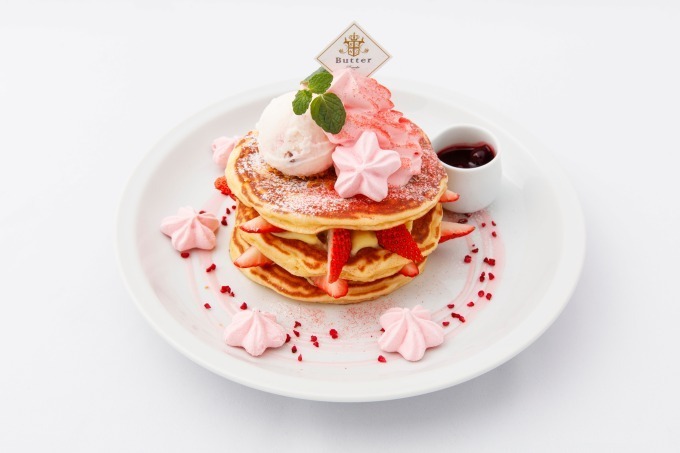 Pancake-specialized store Butter is offering these spring-limited three super fluffy buttermilk pancakes topped with strawberries, sakura ice cream, and sakura meringue at all its cafes from March 16 on. The pancakes also come with a berry sauce to pour over the top of it all. Available at all Butter cafes in Japan, including Yokohama Bay Quarter and Parco Kinshicho. 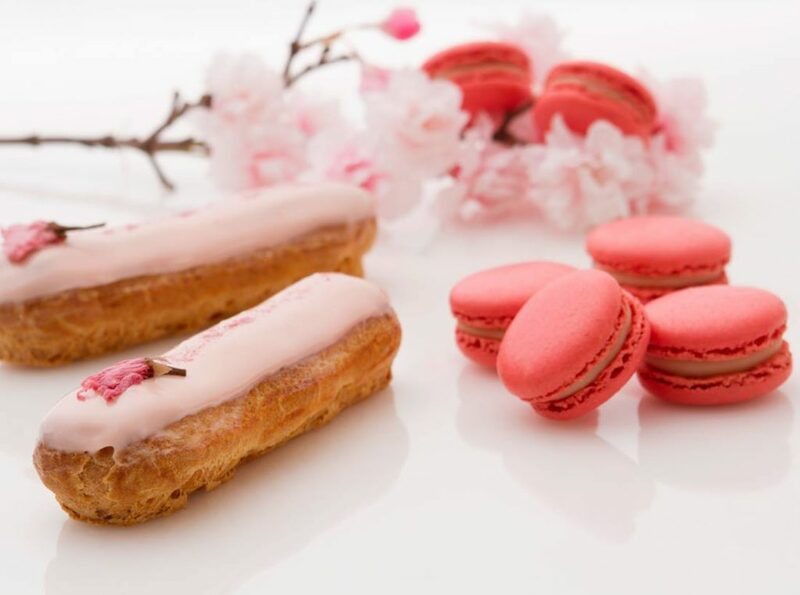 World-renowned Japanese patissier Sadaharu Aoki has released two basic but superb in taste treats for the season, a sakura cream-filled eclair topped with real sakura blossoms, and the rich sakura macaron made with Spanish almonds and sakura cream. Available at all Aoki Sadaharu shops in Japan until April 14. A Japanese style parfait with layers of mochi balls, sakura and matcha cream. The mild bitterness of the sakura matcha works perfectly with the overall sweetness of this giant treat. The bright fun colors also make it a tad more Instagrammable! 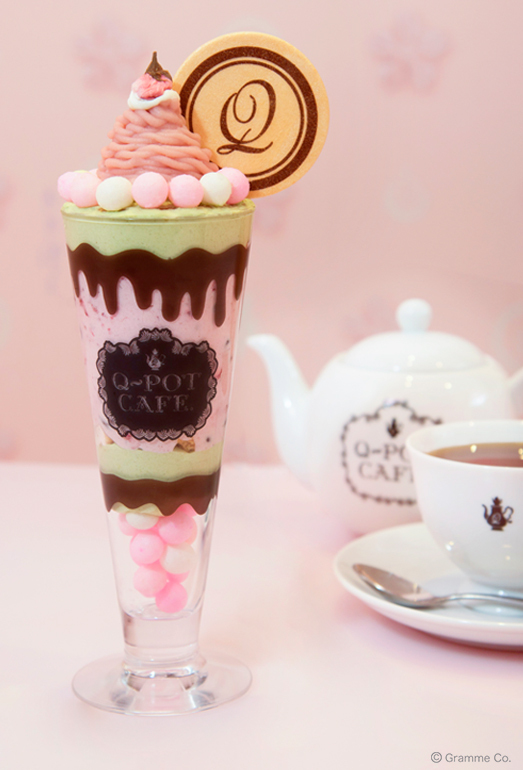 Available at Q-Pot Cafe Omotesando until April 5. For something more casual but still so, so, so good, head to your local Misudo and choose one of their sakura-inspired donuts for the season. 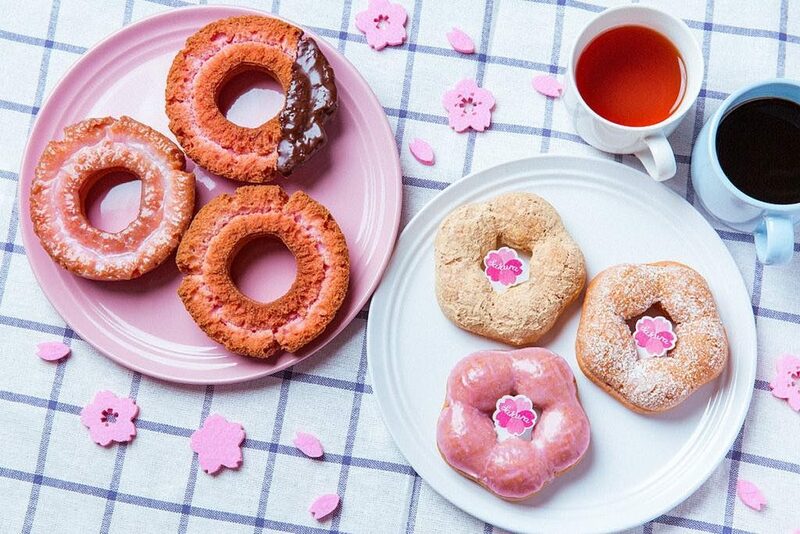 There are six kinds: three sakura-shaped (sakura frosting, kinako and sakura topping and sakura azuki beans flavored) and three "old fashioned," delivered to you in plain, chocolate or honey variation. Sakura macaron blended with mochi paste, crunchy sakura meringue topped with sakura cream and berry jelly, sakura sweet jar of sakura mousse and sakura jelly are just a few of the treats that Andaz' famous pastry has crafted for the season. New this year is the Sakura Bento, an assortment of beautifully arranged sakura sweets packaged neatly in a box to be enjoyed under the cherry blossoms or as a seasonal gift. Available at Andaz Tokyo's pastry boutique until April 21. 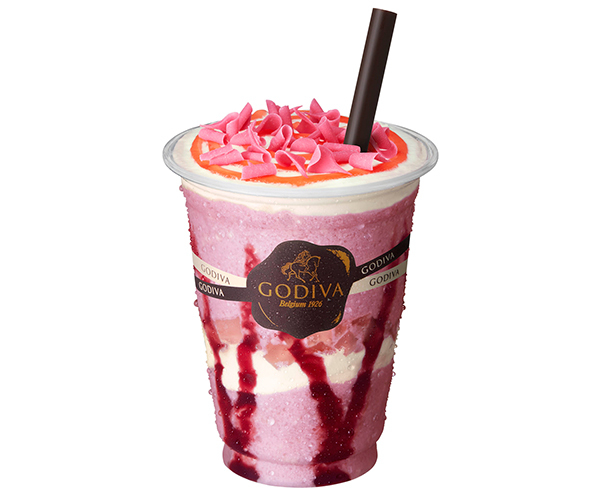 This beautiful creation by Godiva is a cherry and sakura white chocolate drink with cherry jelly and cream, strawberry chocolate chips and cherry sauce. The strawberry chocolate and cherry sauce are topped to look like cherry petals. Available at all Godiva cafes until April 7. A spring-themed tart filled with custard, and topped with cream and a mountain of strawberries. The tart is also topped with sakura chocolate petals to add to the spring feel! If you're planning to buy a whole tart it's recommended to call in first and order it. Available at most La Maison stores, including Lumine Shinjuku and Lalaport Yokohama, until mid-April. 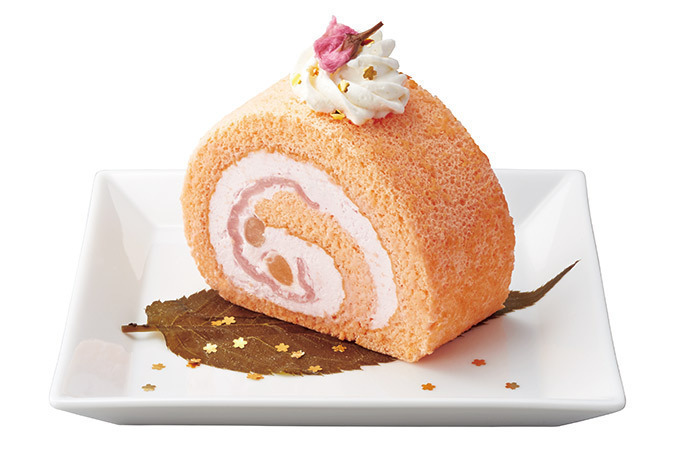 This limited edition cake roll contains not just sweet cherry blossom-flavored sponge cake and cream but also mochi bits to fully add to the Japanese spring taste. Topped with sakura gold sprinkles, this is not just food art, but also the picture-perfect dessert for your Insta account. Available at all Nana’s Green Tea stores until mid-April. 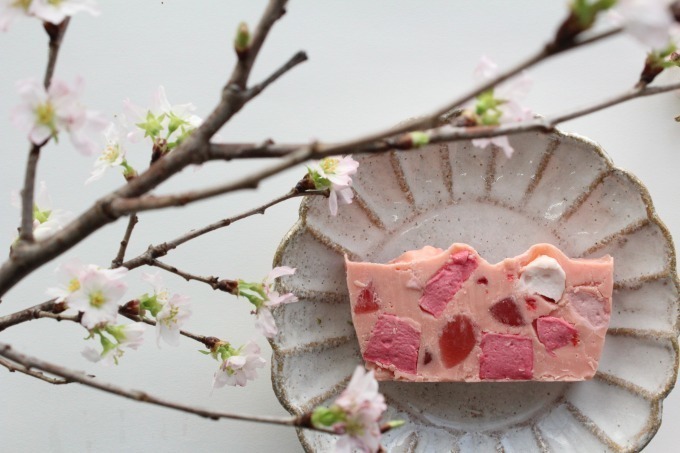 This spring version of the classic rocky road is filled with marshmallows, sakura candy and freeze-dried strawberries. Available at all Papabubble stores, including Ginza Six, until April 7. 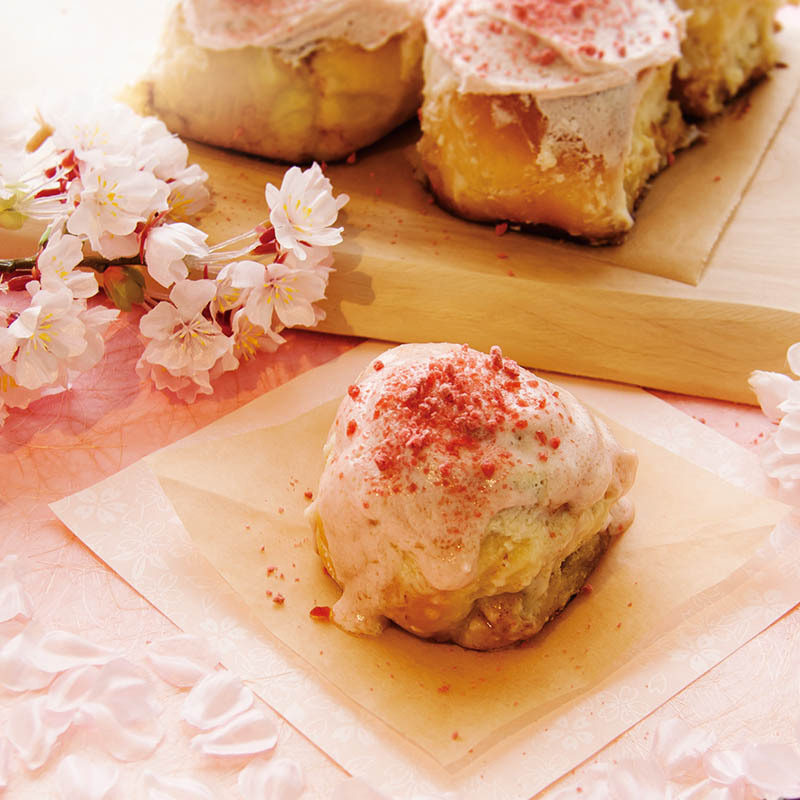 Following a massive success when it was released for the first time last year, Cinnabon's sakura-inspired cinnamon roll has a cherry blossom-flavored cream cheese frosting on top garnished with a cherry-flavored “sakura crunch” topping and it will have you lick all your fingers a couple of times on a single tasting. Available at all Cinnabon stores in Japan until April 18. 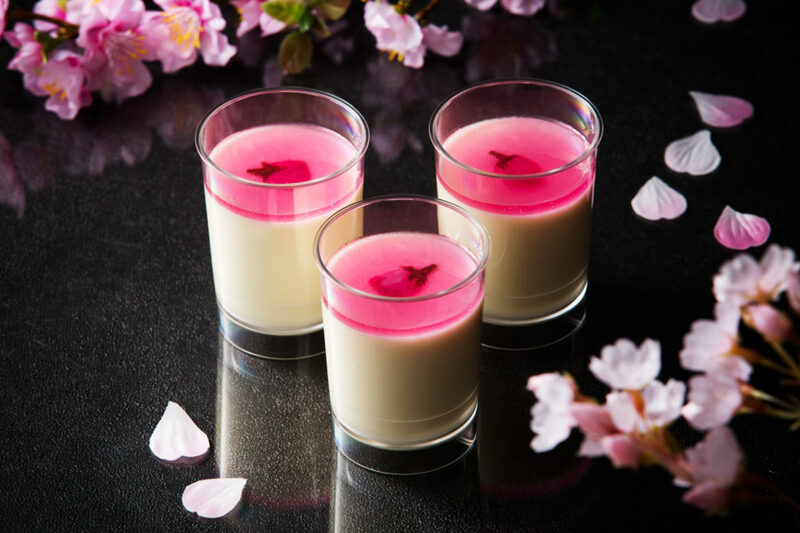 Another favorite from the Grand Hyatt, the Sakura Blancmange is a Japanese light dessert made with an almond milky jelly and topped with sakura flavored jelly. 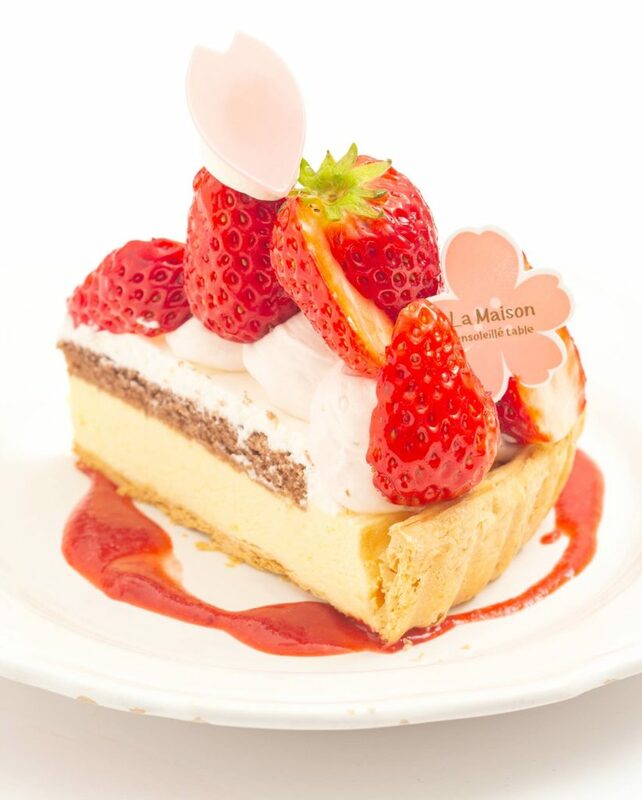 Available at Grand Hyatt Tokyo's pastry boutique until mid-April. 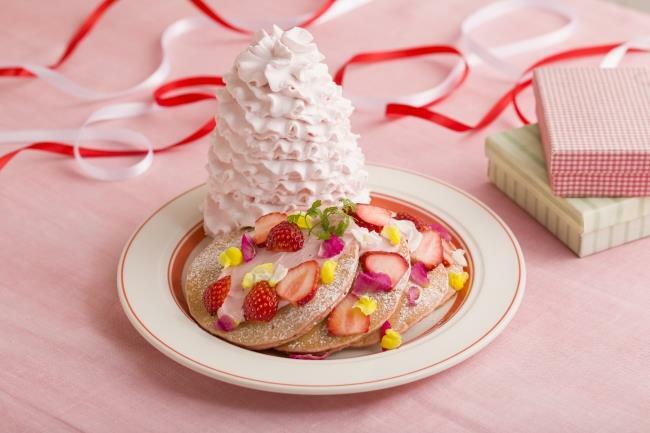 Egg 'n Things' iconic mountain of cream has been infused with sakura essence, alongside their spring-themed pancakes. The pancakes themselves are topped with strawberries and edible flowers which give them such an adorable fun look! Available at most Egg 'n Things stores until April 25. A beautiful cream cheese pudding topped with a sweet and sour cherry blossom sauce that's also perfect for your next hanami gift. The overall color balance and single blossom topping makes it an elegant gem perfect for a stylish spring afternoon treat. Available at all Pablo stores until April 30. How didn't they think about this until now! 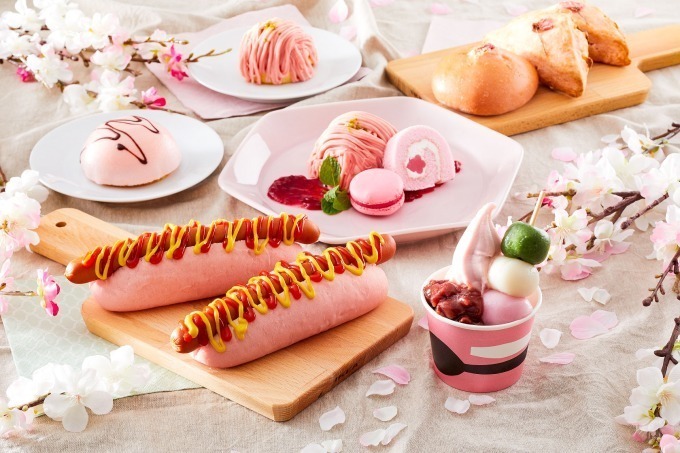 Ikea's famous hot dog is getting a spring look for the franchise's ongoing Sakura Fair, which also includes cakes, soft cream and more goodies. Available at all Ikea stores until April 7. 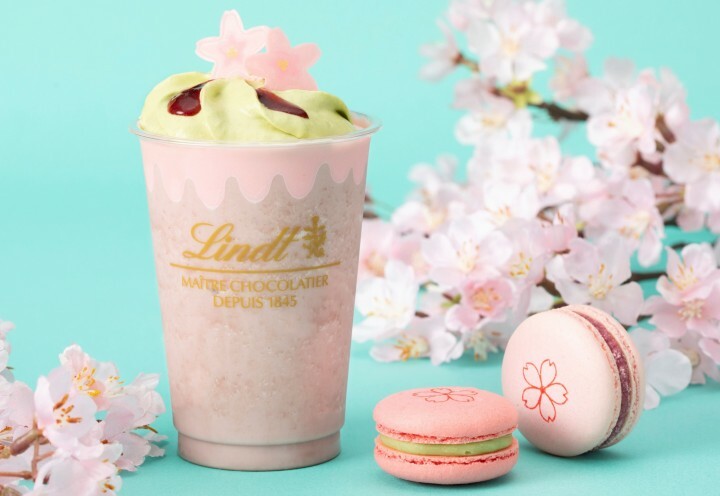 Lindt has a mission this year: to allow their customers to experience a real hanami through their new products. 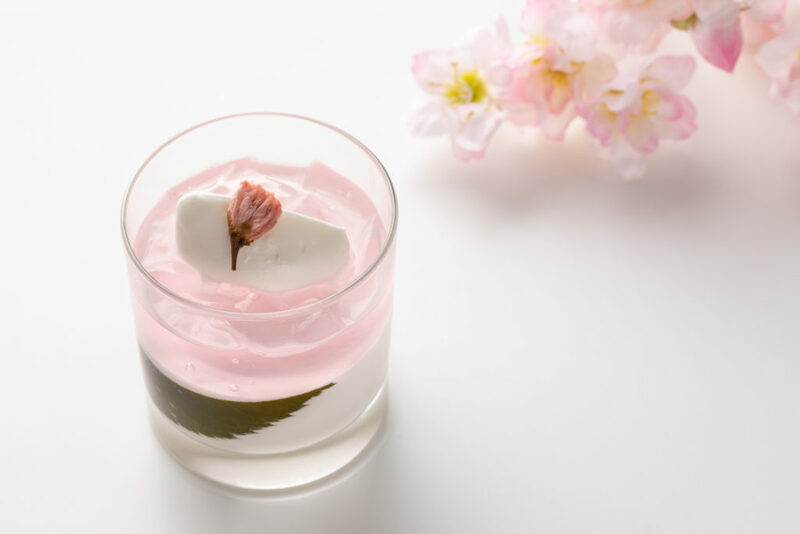 The white chocolate sakura latte features all spring colors: the green cream with the overall pink aesthetic and flower petals are to imitate a realistic sakura blooming view. It's very sweet, but definitely worth trying at least once! Available at all Lindt stores in Japan until March 31. Enjoy a medley of sakura-themed treats, such as Sakura Lamington, Sakura Panna Cotta, cherry-chocolate mousse, sakura pound cake, and more. 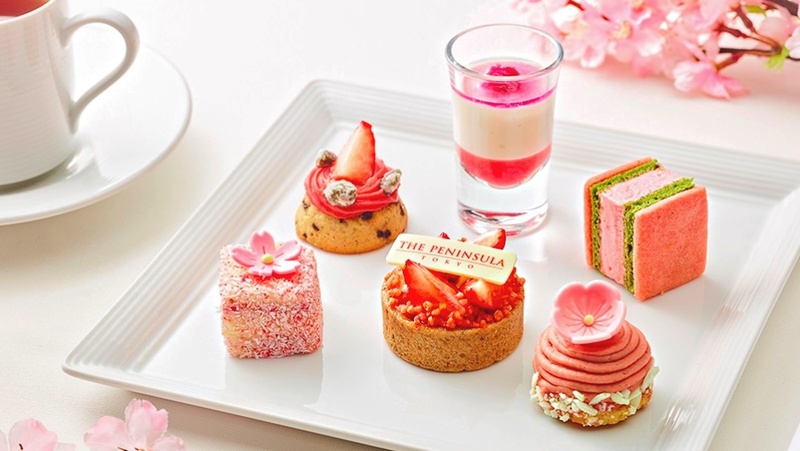 The Peninsula Tokyo has also released a further range of sakura delights to enjoy both savory and sweet. Available at The Peninsula Tokyo in Yurakucho until April 14.